I am very fortunate to be a true child of the 80’s. I grew up when they lined up around the theaters to see the original Star Wars. In fact our entire school saw it on the big screen on a field trip (how cool is that?). I was also born during the explosive time of innovation in the area of electronic music and synthesizers in particular. I remember the first time playing an original MemoryMOOG when it was first introduced and it was amazing to hear those sounds for the first time. 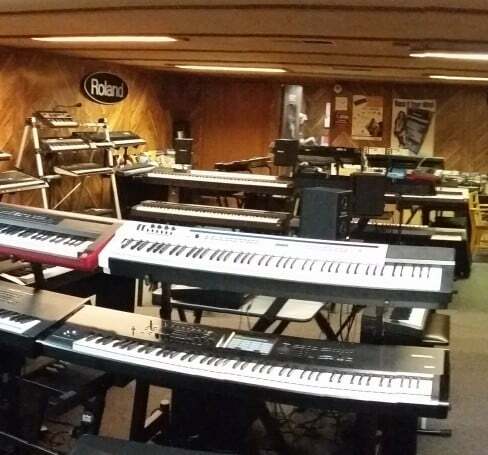 I also loved visiting the keyboard rooms where rows and stacks of keyboards were NEW and not vintage and having the opportunity of playing Jupiter 8s, MOOG Taurus Pedals, the DX7 and on and on. So now fast forward to 2017 and a new generation can now experience some of the wonder I knew back then. Through amazing advancements in computer technology and innovation we can now capture and harness the power and essence contained in the magical instruments of the past. IK multimedia has spent years working in the area of circuit emulation and sampling to bring us the sounds of legendary instruments and powerful musical effects. With the introduction of Syntronik they wrap all of the pieces together to create something that will blow you right back into the past but with the ability to bring you into a very amazing future! When you purchase Syntronik you need to set aside some time to download the program and sound libraries. Weighing in at around 50 gigs this is a massive collection of instruments so IK Multimedia has broken things down into 23 segments for the sound library. You need to extract and install each file as the Syntronik library is placed in the same directory as your SampleTank 3 library. IK Multimedia also offers a FREE version of Syntronik for those who just want to get a taste of what’s in store but believe me it won’t be long before you are hitting that buy now button. Under the hood IK Multimedia has developed some circuit modeling that replicates some of the classic filters that define some of the classic synth sounds. The oscillators have been sampled to provide an additional level of authenticity. A brand new technology DRIFT allows the emulation sets a new bar in realism as it actually allows the circuit models to respond as the original instrument would in real world conditions. One of the classic problems with older synths were the circuits getting hot and causing them to go out of tune or behave erratically. It is funny to think that now in our perfect modeled and digital world that we now actually want to create the technology that allows us to simulate those very imperfections that drove early musicians crazy. One of the things that set Syntronik apart from other vintage synth emulations is the fusion of the past and present technologies. There is no way you could do this level of instrument using sampling or circuit modeling alone. IK Multimedia has made new inroads in bringing the two together. They created some new techniques that allowed them to recreate in software the actual transistor models used in the building of the original MiniMOOGs, Prophet and Oberheim synthesizers. When used along with the sampled oscillators IK Multimedia calls this their Hybrid Synthesis Technology but I just call it amazing. Being able to have the expertise of knowing the past as well as innovating in the future creates the intersection of innovation. IK Multimedia has a long history of producing some of the most ground breaking software effects and they bring that legacy into Syntronik. So you have all of these powerful synthesizers which on their own sound fat and full of possibility but when you pair them with IK’s effects rack included with Syntronik then you open up some major possibilities. Syntronik presents you with a rack that includes 38 effects taken from their T-Racks and Amplitude products. You can mix, match, combine, rearrange and modify them to your hearts content. 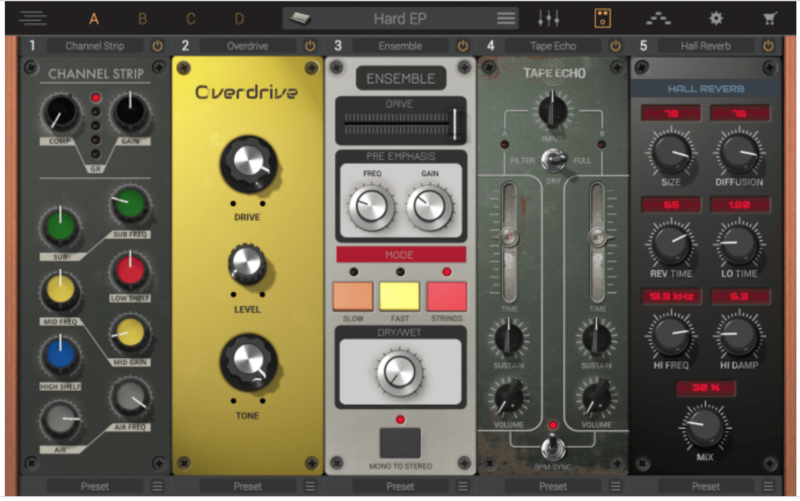 These include delays, reverbs, compressors, gates, equalizers and just about anything you need to take the sounds and make them as musical or as radical as your imagination can take them. 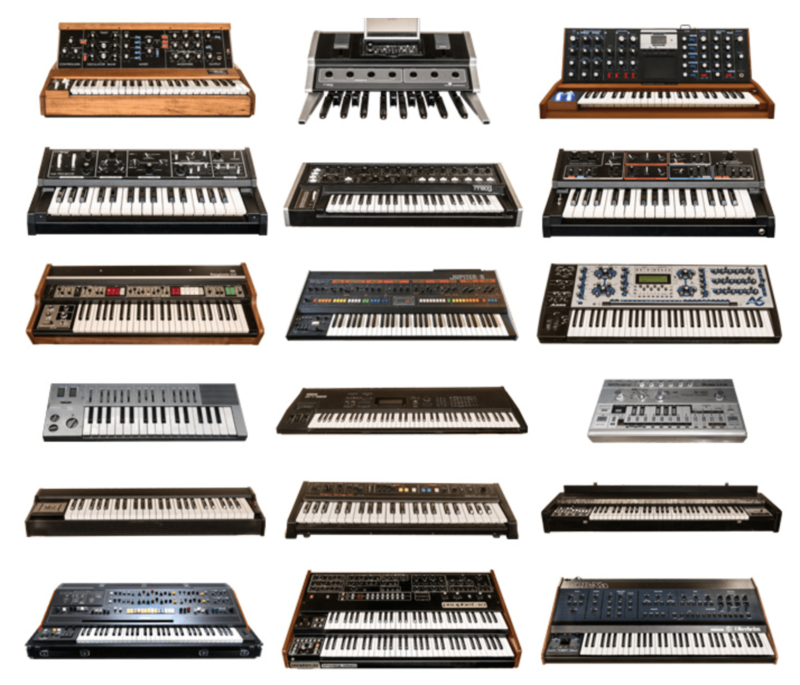 Why stop with just one synth? Syntronik allows you to stack and layer up to four synths at a time. This allows you to take things even further by being able to combine synths from different eras. You can also setup zones across the keyboard that allows you to have even greater flexibility and expression. You also have a powerful and flexible arpeggiator for each of the four slots bringing additional performance, amazing fun and animation to your sounds. Of course they can be synced to your DAW tempo to keep the party always going! 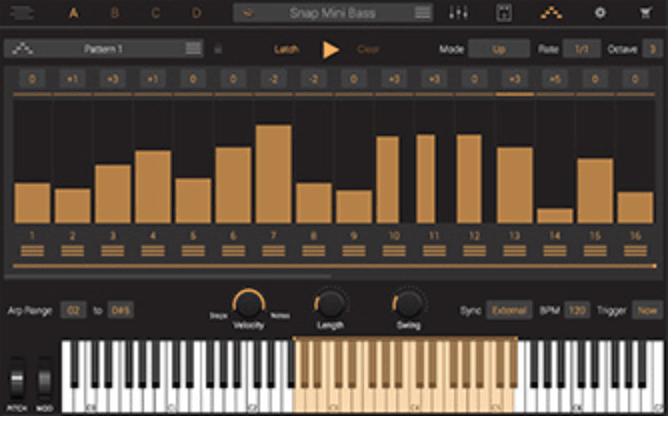 Recently IK Multimedia released a version of Syntronik for the iPad and iPad Mini. This is not some cut down version of the plugin instrument but rather an exact representation of Syntronik. This is an amazing opportunity for musicians on the go. you could even use the iPad version of Syntronik as a synth sound source in your studio instead of using the plugin version inside your DAW. 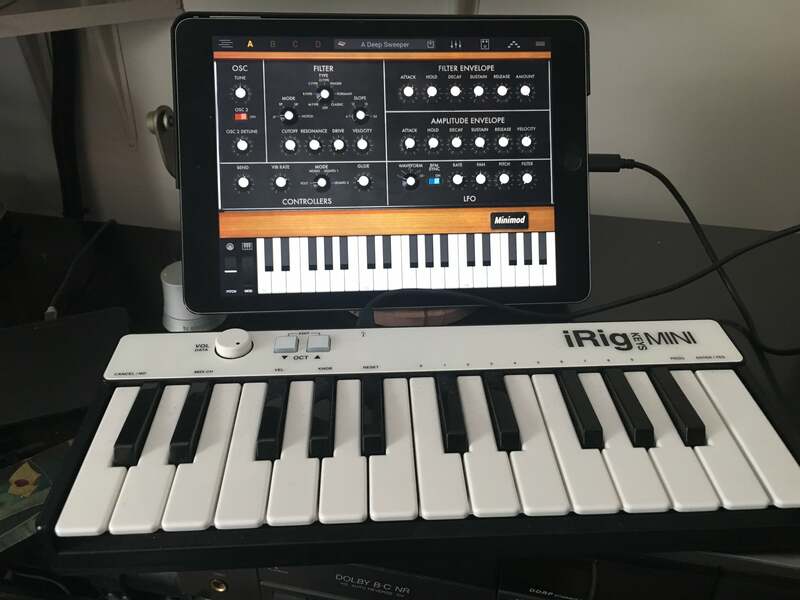 Above you can see how I pulled up the MINImod instrument and using my iRig Keys MINI. What makes the iPad version so special is that I can just reach out and touch the controls to change their values. This allows for an immediacy when you are playing and searching for that perfect sound and that is just plain inspirational and fun! Syntronik for iPad comes in a FREE version featuring 25 patches from the 17 Synth models. You can bring it up to full speed through in-app purchases of the individual synths ($9.99 each) or the entire full package ($39.99). I cannot believe the shear size and scope of Syntronik. IK Multimedia has taken great care to bring us an instrument with all of the character and nuance of the original instruments that inspired it. You can get lost fairly quickly when you start playing through the sounds in the library so you have been warned. I love being taken back to those simpler days of wonder and now being able to bring that wonder to a new generation of musicians gives me hope these sounds will continue to endure inspiring new musical ideas. 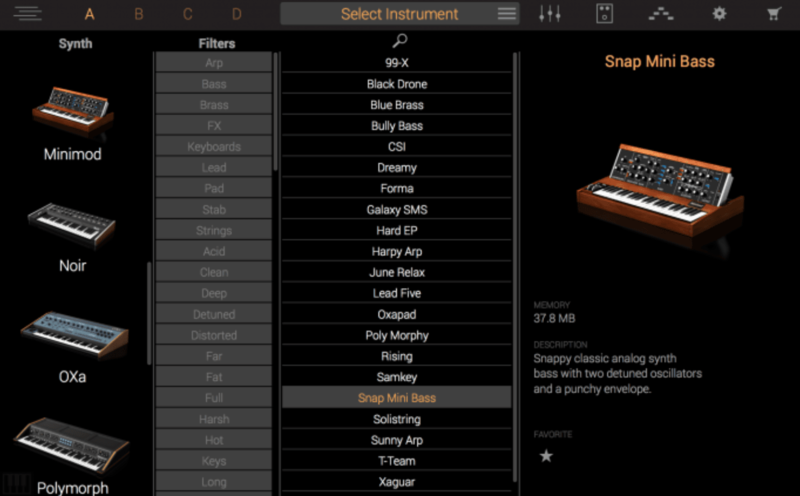 Now with the iPad version you can take these classic sounds beyond the walls of your studio. Syntronik is available now at cross grade pricing of $199 for previous owners of an IK Multimedia product valued at $99 or more. New purchases start at $299. Syntronik for iPad is available from the App Store for FREE with in-app purchases available. 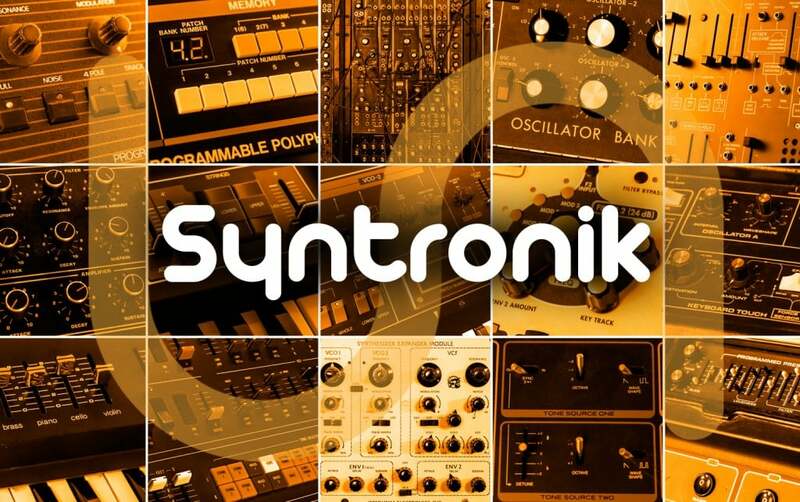 You can try the Free version or purchase the full Syntronik now by visiting IK Multimedia’s site right now.